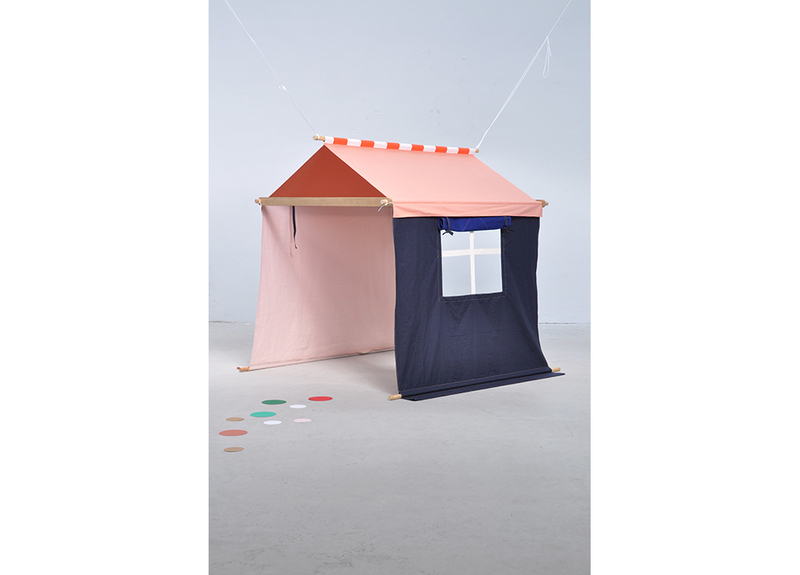 Tenthuisje is a play tent for children. 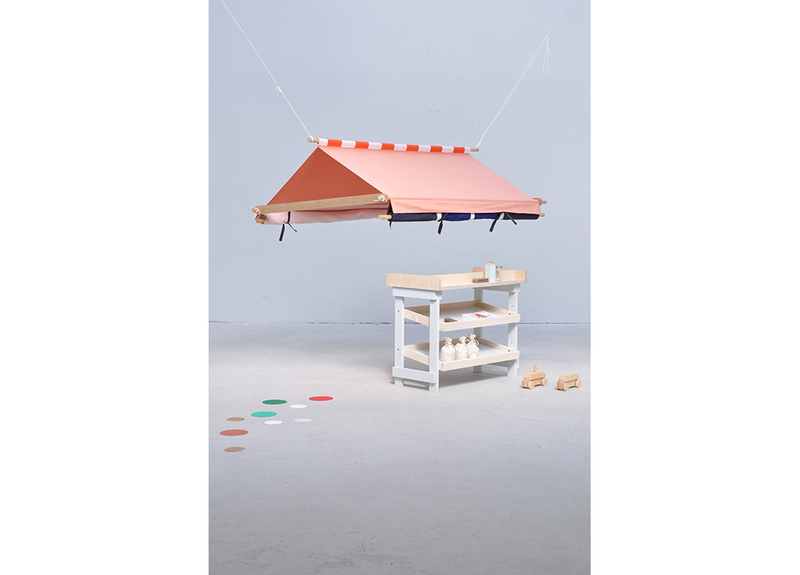 It can be used for inside or outdoor play and hangs from 2 hooks. 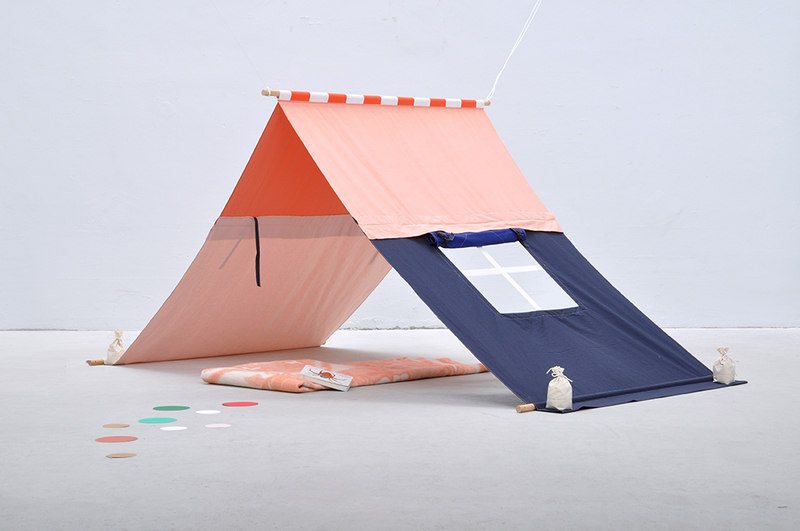 The simple shape creates a different base for play each time. 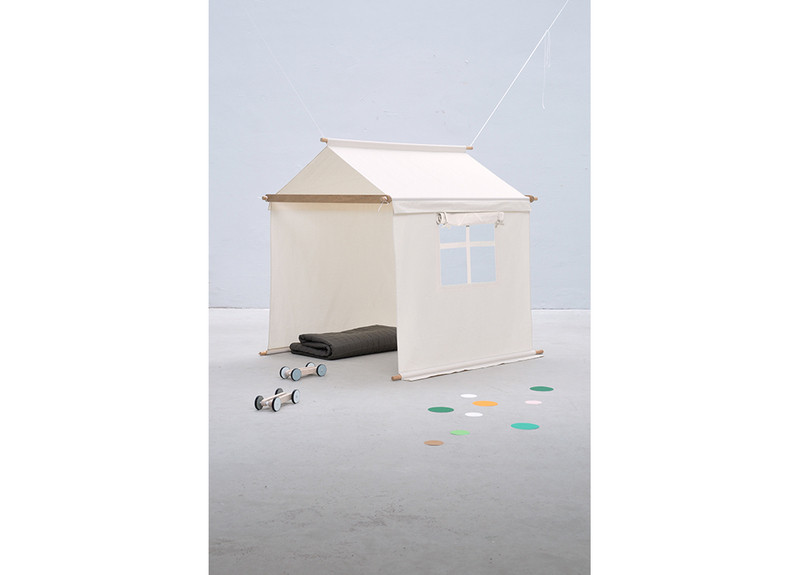 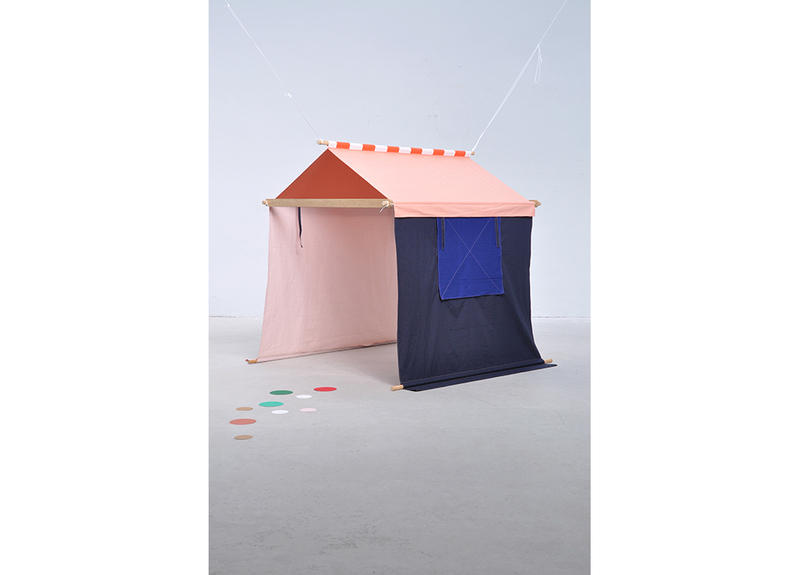 The play tent can take many forms as a house, tent, kitchen, shop, puppet-show and more. 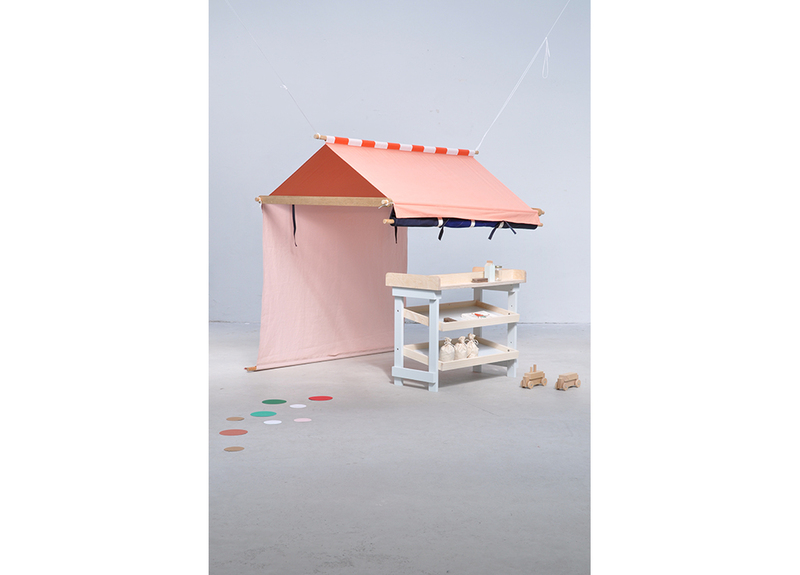 In natural cotton or one of the different color combinations it not only appeals to children, but also fits in with the colors of an interior. 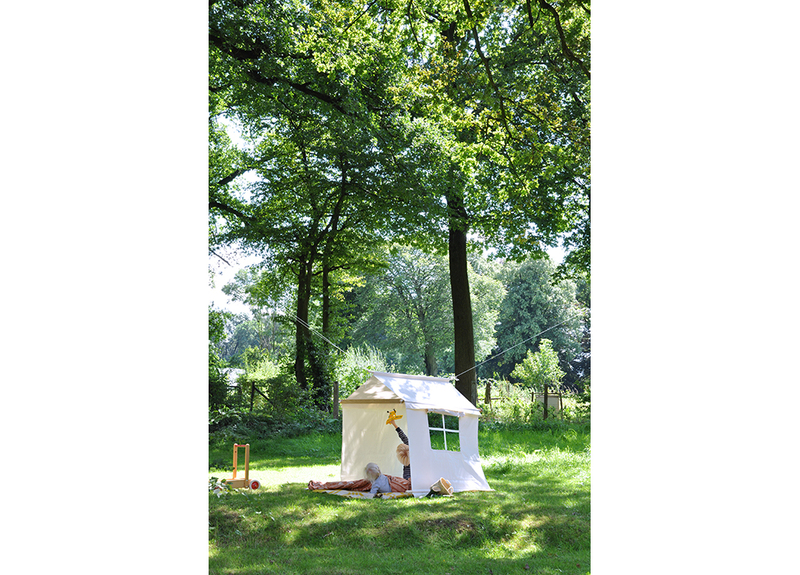 Tenthuisje is easily removed and rolled up when not in use. 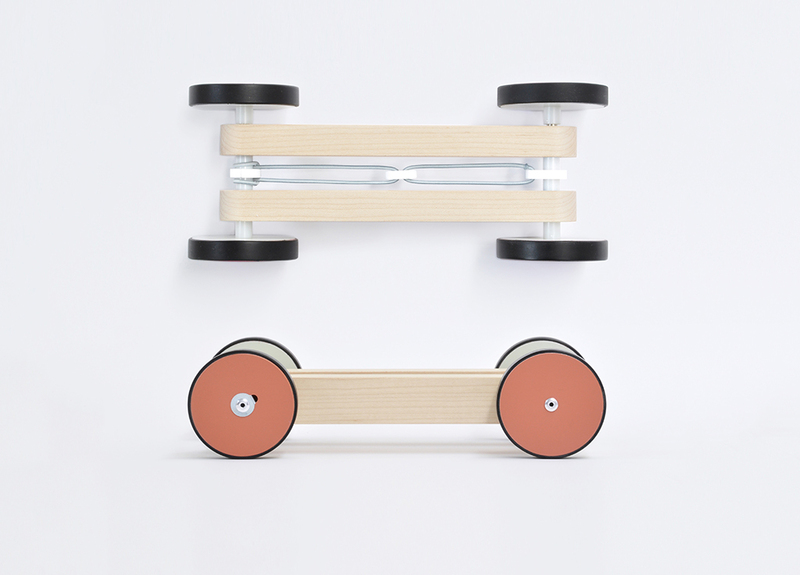 This toy car is powered by an elastic cord. 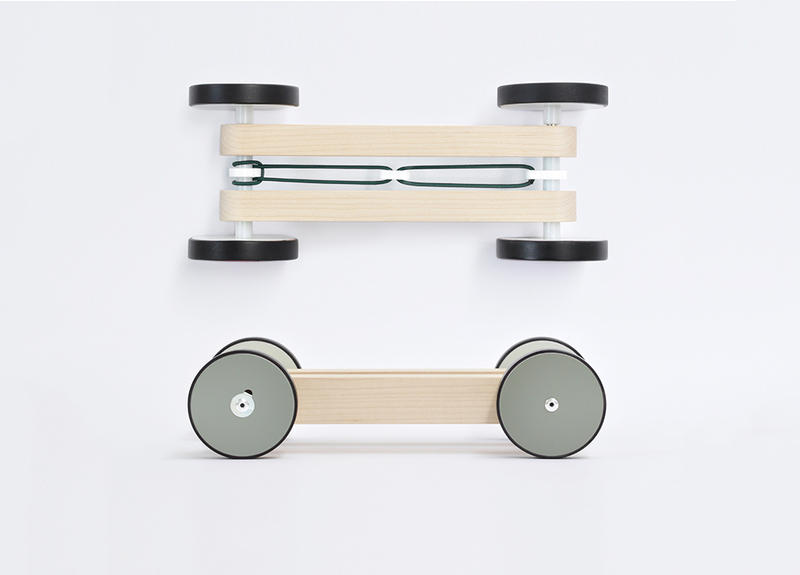 A clever combination of a knot and winding hook makes the toy wind when pulled backwards and freewheel when going forward.